Just the way Godzilla likes em! Really, really love the guy that's checking in on those kids. So I guess that's what 'Oriental Flavor' is then...Huh. 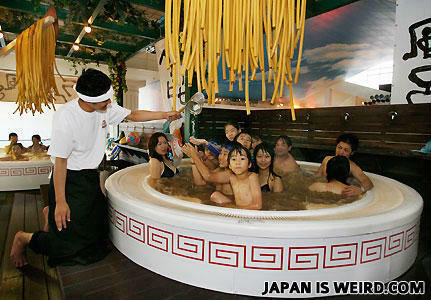 Meanwhile, in the ramen factory. Everyone out! The man with STD just got in! Hey got room for seconds?